Why are learning communities different than NRDs? Home/Retweetable/Why are learning communities different than NRDs? In Garey v. Nebraska Dept of Nat. Resources, 277 Neb. 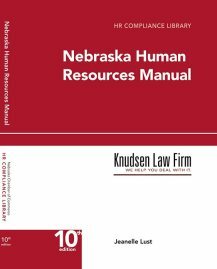 149 (2009) this firm successfully argued that the property taxes authorized by LB 701 violated Nebraska’s constitutional prohibition on property taxes for a state purpose. This constitutional amendment was adopted when Nebraska adopted income taxes for the first time; the logic being if the state was going to collect income taxes it should not also be allowed to collect property taxes for state purposes. LB 701 allowed three Natural Resources Districts (NRDs) to levy property taxes in order to allow the NRDs to comply with the Republican River Compact, a three-state water use agreement between Colorado, Kansas and Nebraska about use of the stream flows in the Republican River. In Garey the Nebraska Supreme Court found that complying with the compact was a state purpose and therefore the NRDs could not levy the property tax. The Nebraska Supreme Court was asked to revisit what constitutes a state purpose in Sarpy County Farm Bureau v. Learning Community of Douglas and Sarpy Counties, ___N.W.2d___ (2012) The Farm Bureau had successfully argued to the district court that the learning community was established for a state purpose. This time the Nebraska Supreme Court disagreed. The court noted that “Where state and local purposes are commingled in a statutory enactment, the crucial determination is whether the controlling and predominant purposes are state purposes or local purposes.” The court found that in determining this question one factor it would look at was whether the operational control of the entity supported by the taxes stayed with the state or with the local entity. The court found that the operational control of the learning community was local. Therefore the court concluded “the controlling and predominant purpose of the learning community legislation was to address complex educational issues presented within metropolitan school districts.” Therefore the levy was held constitutional. The take away message from these cases is that the court will continue to do a careful case by case analysis of the predominant purpose of property tax legislation when deciding these issues and there is no hard and fast rules subject to easy analysis as to what will automatically be considered a predominant state purpose.